In the conversation about the artistic legitimacy of video games, it’s sometimes instructive to take a step back and consider what any given game looks like to a non-gamer. 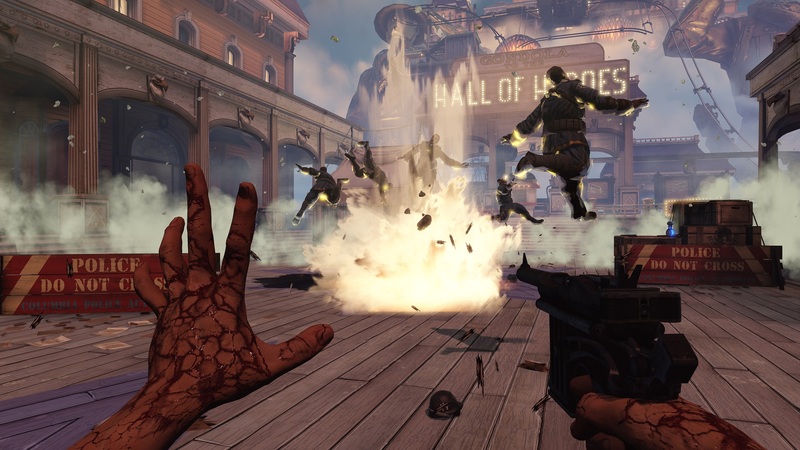 Take the current big-budget game with artistic aspirations du jour, Bioshock Infinite: this is a game that addresses big issues such as racism, revolution, free will and redemption. It throws around allusions to quantum physics, US history and philosophy. Its art design and music are beautiful and filled with a wide range of allusions. Yet it is also a game where you run around shooting gaudy bad guys in the face with a shotgun just before searching a trashcan to find a hotdog and some popcorn. You scarf them down, healing the damage you’ve taken from being shot at. And then you throw an exploding fireball at your opponents with a flick of your wrist, just before jumping up 20 feet to catch a ride on a metal rail. So, to someone who isn’t into games much of the actual gameplay may look grotesque. Why is the player eating from trashcans, and why does this heal him? Why is he spending 90% of his time inflicting grievous bodily harm? And doesn’t all of this rather hobble any aspirations the game has to resonate with the player’s emotions one moment and tickle his grey matter the next? Bluntly put, how can anyone take this sort of tonal mess seriously? I’d say that there is some justification to this line of argument. As someone who’s been playing games for, oh, 30 years, I don’t see this sort of thing as weird anymore – I’ve become largely inured to what has been called ludonarrative dissonance, unless I choose to. But yes, gameplay and plot – or gameplay and a game’s striving for meaning beyond “I have big gun. He has big gun. I shoot him. He dies.” – do often clash. Take Grand Theft Auto IV‘s guilt-riddled Nico Bellic and his quest for redemption for the horrible things he’s done in his past, which sit oddly next to the multiple killing sprees he engages in during the game’s missions. Compare, for instance, someone who watches his first opera. Is the tragic heroine’s extended death aria, possibly while she’s clutching the dagger in her ample bosom, any less silly than the trashcan hotdog imbued with healing powers? Or Shakespeare: are end-rhymed heroic couplets or stage directions expressed via dialogue any more believable than conventions in games? I’m not saying that we should give games a free pass because we’re so used to the medium’s tropes that they’re invisible to us. Tropes can be useful shorthand, but they can also be a crutch – and ludonarrative dissonance is something games have to contend with. After all, how would we react to a big-explosions, brutal action flick doubling as a harrowing intimate drama if the tonal inconsistencies weren’t addressed, let alone resolved? At the same time, critics have to accept that all media and all genres rely on cultural conventions and tropes to some extent, and a certain familiarity with (and, indeed acceptance of) these conventions is required when it comes to enjoying games as much as movies, TV series, stage plays, ballet, opera – and even paintings. 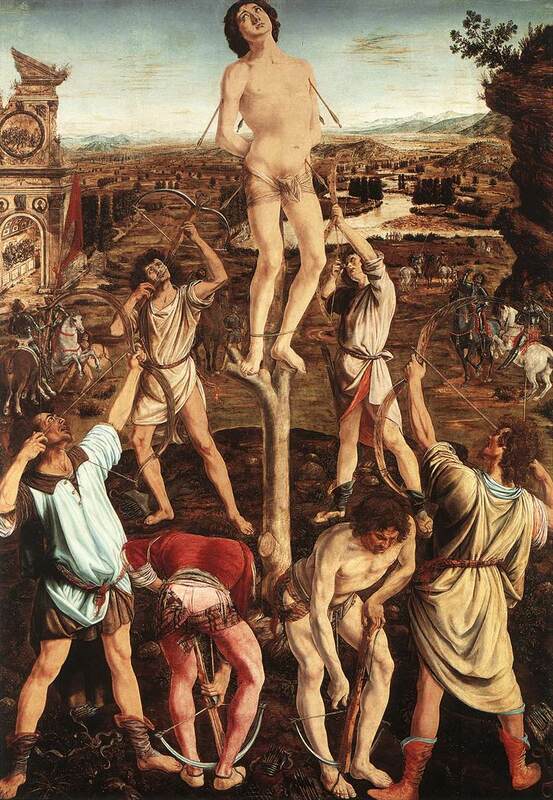 After all, wouldn’t I be silly to dismiss most of the paintings of St. Sebastian out there because the arrow-addled martyr usually looks mildly bored rather than in agony? So, rather than pointing at gaming tropes and saying something along the lines of “This is why we can’t have nice things”, perhaps it would make more sense to become more aware of these conventions, how they are used, and how they can be used better, more intelligently, more subversively – how they can be played with, for want of a better word.